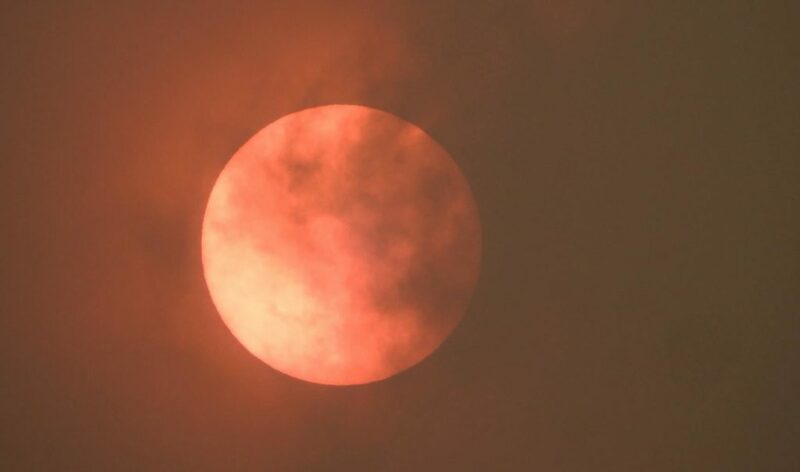 Unusually red-looking Sun sightings are being reported across the UK as darkness and sepia tones have taken over the country. The cause, meteorologists say, is a hurricane dragging in tropical dust from Sahara. Image via Birmingham Updates / Facebook. If you’d happen to be in many parts of the UK today, you’d likely be facing a desolate landscape. It’s dark, windy, raining in most parts, and the Sun looks like a creepy blood-red circle. This visual phenomenon is especially prevalent in the South West, West Midlands, North West and North East. It’s associated with Hurricane Ophelia, though in itself it’s no cause for concern. What happened is that the gusts of air picked up dust and soil pieces from the Sahara and brought them along to the British islands; once in the air, these particles refract and reflect light, resulting in longer wavelengths, towards the reddish part of the spectrum. But that only tells half of the story — or even less. The Met Office said the “vast majority” of dust particles came from the massive forest firest suffered by Spain and Portugal earlier this year. 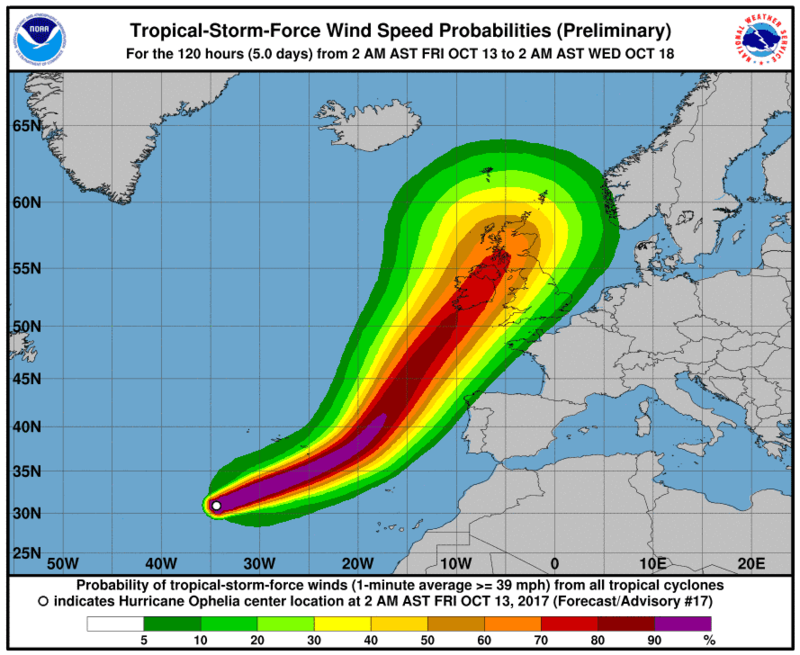 At this point, it’s not clear if the danger posed by Ophelia has passed. While there’s no need to worry due to the red Sun, the hurricane itself is a completely different problem. Ireland’s west coast has been severely hit and at least one woman was killed after a tree fell on her car. Authorities have warned everyone in affected areas to remain indoors until the storm passes. It’s uncommon for Atlantic hurricanes to head eastward, towards Britain. Hurricane Ophelia was the easternmost Atlantic major hurricane on record, already causing serious damage in Ireland and parts of the UK. With highest sustained winds of 115 mph (185 km/h), it affected the Portuguese Azores Islands before moving north towards Britain.